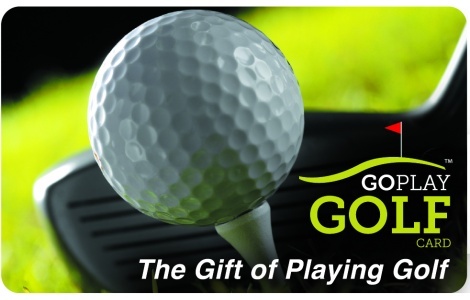 Go Play Golf – the gift card for everything golf! The only all-inclusive gift card and egift card product redeemable for all things golf: green fees at 6,000 golf courses nationwide. From local courses to Pebble Beach, every golfer will find what they are looking for. Also redeemable for 100,000+ options of golf equipment/merchandise/apparel, supplies, lessons, travel, and more. Consider this the perfect product to satisfy both golf lovers and their families…for everything golf! National Gift Card is the best place for you to order Go Play Golf gift cards and egift cards in bulk. At NGC we are the experts in all things gift cards and can set up your gift card and egift card solutions program for you today. Please contact us for more information on Go Play Golf bulk, direct-to-recipient, or individual gift card fulfillment for your gift card program. Contact us online or call us at 888-472-8747 today! This card is not replaceable if lost or stolen and should be treated as cash. Go Play Golf makes no warranty regarding any golf course service you may receive in conjunction with your use of this card. Cards cannot be redeemed for cash, except where required by law. All other terms and conditions for use of the Card are listed on www.goplaygolf.com. Use of the card constitutes acceptance of these terms.